Gloria was born to Selenia and Tomas Gonzalez on March 7, 1963 in Ponce, Puerto Rico. She was the youngest of eight children. Her family relocated to Connecticut when she was only five years of age. 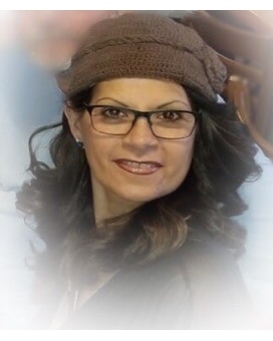 Gloria completed her studies in Bridgeport, Connecticut and after obtaining her nursing degree from Sacred Heart University she worked as a pediatric nurse for ten years until she relocated to Florida in 1997. Gloria continued her nursing career at Nemours Children's Hospital which she was very passionate about. Gloria married George Robert Frick Jr. in 2013. She was a devoted mother to her three boys Aaron, John Robert, Julian, as well as doting grandmother to Isabella her precious granddaughter. Gloria was believer of Christ and a faithful servant. Gloria and family are a members of the First Baptist Church in St. Cloud, Florida. She served and shared Christ's love with whomever would listen and her family continue to do so. She was a former member of the Assembly of God Church in Kissimmee. She also served for many years as a Sunday School Teacher, Youth and Missionettes Leader at Church of Christ in Connecticut. Her faith was the core of her existence. To her believing in God's word was of upmost importance. She trusted the following passage in Psalm 91: "He who dwells in the shelter of the most high will rest in the shadow of the Almighty. I will say of the Lord, He is my refuge and my fortress, my God, in whom I trust". Gloria trusted God to the very end. Gloria is survived by her parents Tomas & Selenia Gonzalez; her husband, children, her in-laws George & Carolyn Frick; her son Aaron Rodriguez and daughter-in-law Jessica Rosado; her son Julian Rodriguez, her son John Robert Frick; daughter Katherine Collet, son-in law Nathaniel Collet and grand children Isabella Rodriguez and Logan Collet; her siblings, Ada Nieves, Luis Gonzalez, Jaime Gonzalez and Ivette Gonzalez as well as a host of nieces and nephews whom she had a very special and strong bond with. She was their beloved Titi Esther "Tititen". Gloria was preceded in death by her brother Tomas Gonzalez Jr., her sister Carmen Pagan and Hilda Ada Gonzalez. They are now reunited in Heaven before the presence of the Lord. Although she will be greatly missed, our comfort is knowing she is in a place free from heartache and disease. Gloria left us full of memories and the hope of better in Christ. A celebration of life service will be held 7:00 P.M. Monday, December 3rd, 2018 at first Baptist Church of St. Cloud with the Reverend Vince Manna and Reverend George Robert Frick Sr. officiating. Visitations for friends will be two hours prior to service time (5:00P.M. to 7:00 P.M.) in the church.